California is seeing continued job growth, particularly in construction, hospitality and healthcare, but political “chaos” could hurt the Golden State’s economy, UCLA economists said Wednesday. Jerry Nickelsburg, director of the UCLA Anderson Forecast, wrote in his California forecast that the construction industry could be negatively impacted by rising interest rates, while health care and hospitality could suffer from changes in the Affordable Care Act and a drop in international tourism. “With (President Donald) Trump’s policies decidedly reducing immigration, net domestic migration to California would be required,” he wrote. Hampering that possibility, however, is the state’s continued high cost of housing. “It is well known that the high price of housing excludes many people who would otherwise move to California,” Nickelsburg wrote. At least part of the reason why California housing from Bakersfield and Fresno to San Francisco and San Diego is uniformly higher than elsewhere in the U.S. is the premium, attributable to the amenities that Californians enjoy. 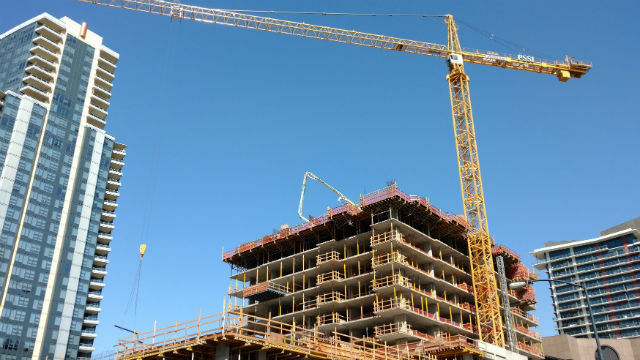 “In other words, expect relatively slow growth in California, just slightly above the U.S. through the next few years with a tilt, a slight tilt, towards more new home construction,” he wrote. Nickelsburg predicted employment growth of 1.1 percent, 0.9 percent and 0.9 percent over the next three years, with the unemployment rate expected to reach 4.5 percent by 2019. On the national front, UCLA Anderson Forecast Senior Economist David Shulman wrote in his forecast that the economic optimism that rose thanks to Trump’s plans for tax cuts and infrastructure investment has largely fizzled because of a lack of movement on those initiatives in Washington, D.C.
Shulman predicted growth in gross domestic product of 2.1 percent, 2.8 percent and 2.1 percent over the next three years. Unemployment will remain at or below 4.4 percent over that same time period, he wrote.